PICAS’ new project, Use it, will see 6 artists from different backgrounds and artforms, working with 3 Belfast community groups: Fortwilliam Fold, Black Mountain Action Group and Skyway Club. The artists and groups will work on an intercultural project during the next 3 months. ‘Use it’ is funded by Belfast City Council, Good Relations under the theme of cultural expression. 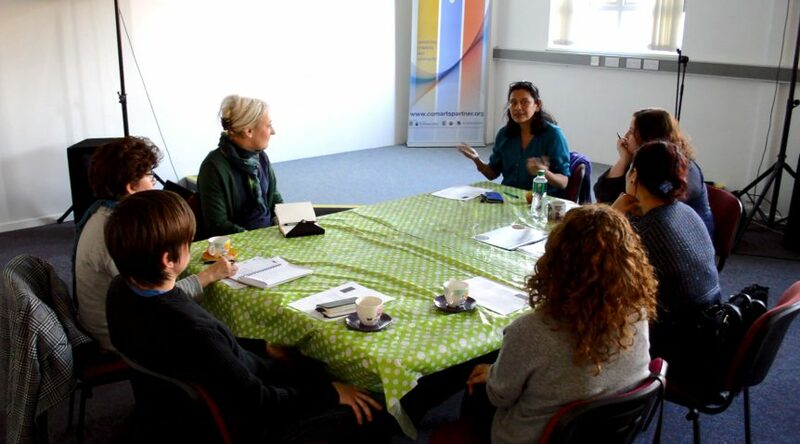 During the first ‘Use It’ meeting, artists got to know more about the project they will be involved in the next 3 months. CAP is committed to develop already existing intercultural champions, those people who have already attended the PICAS intercultural training. Funded by the Belfast City Council Good Relations Small Grants.